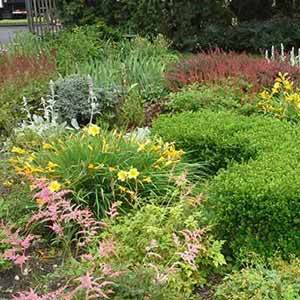 Let us help perk up your existing garden beds, create new ones for accentuation, and work with your favorite color schemes to create something spectacular! We are experts in native flowers, pollinator friendly plant option. To create a defined line between lawns and garden beds, we use a hand spade or mechanical edging machine. Our mulch is installed 2-3” deep, laid carefully throughout the beds to suppress weeds and retain moisture at the root zone for your landscape plantings. Note too much mulch piled around the trunks and over the shrubs can cause decay. Broccolo pays attention to the details. Selective hand pruning encourages the growth of healthy plants by removing dead or diseased foliage.It improves the appearance and effectiveness of the plant, whether it was chosen for function or beauty.Pruning is an art form in which Broccolo takes pride in our extensive technical knowledge. Let us help you with regular weeding or pruning throughout the season, cleaning up in the spring, dividing or removing overgrown plantings, and fall leaf clean up. You can count on our trained horticulturists to know a weed from a treasured perennial! Our program consists of 1 Pre-Emergent treatment that prevents weed seeds from germinating and 4 post emergent treatments spread throughout the year at optimal times to kill weeds. Winter Pruning: Renovates overgrown, thick, or poorly shaped plants- resulting in better form, hardiness, and vigor. Winter Shield: Evergreens and other landscape plants sensitive to wind and winter injury will benefit from a protectant spray. This waxy coating helps to seal the leaves and minimizes winter desiccation, helping to keep your plants healthy. Deer Repellant: Foraging deer can severely damage a landscape through winter browsing. We apply either a granular or liquid repellent to repel them from your valued landscape plantings.